One PREMIUM Roll of 50 Indian Cents--Problem-free, with LOTS of earlier dates! 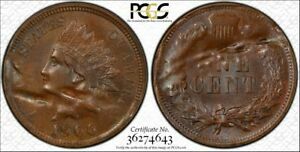 1906 Indian Head Cent Penny, Red Brown, PCGS MS65 RB ** Cherry Red Look! *$438 for 24 months. Minimum purchase required. 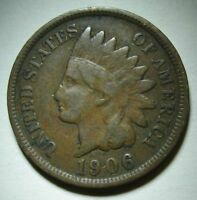 1906 INDIAN HEAD CENT ~ HIGH GRADE ORIGINAL RED AND BROWN UNC ~ PRICED RIGHT! 1906 INDIAN CENT, CHOICE BRILLIANT UNCIRCULATED, LUSTROUS, TONS OF RED, CLASSIC!